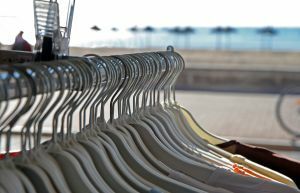 According to a recent NPR story, dry-cleaning costs increased substantially after the U.S. imposed import tariffs on wire hangers from China—so much so that many dry cleaners are now soliciting customers for unused hangers. The U.S. imposed the tariffs after several American producers made dumping accusations against Chinese producers. Dumping occurs if a Chinese firm sells hangers in the U.S. for significantly less than it sells the same hangers for in China, or for significantly less than it costs to produce the hangers in China. The U.S. International Trade Commission found that Chinese manufacturers were, in fact, dumping hangers in the U.S. market. Economists tend to be skeptical of trade restrictions based on the anti-dumping argument. In markets for standardized goods (like wire hangers) with relatively free entry and exit, there's no long-term benefit from selling a product at below cost. While legitimate cases of dumping certainly come up, some cases may simply involve domestic firms that want to protect their market position from lower-cost foreign manufacturers. In the case of hangers, the tariffs benefit U.S. manufacturers at the cost of the dry cleaners and consumers who would otherwise benefit from lower-priced Chinese imports. Milton Magnus III, owner of one of the U.S. manufacturers that filed for the anti-dumping duties, argues that the costs to consumers are negligible—amounting to a penny or two per hanger. "If I pay $12.95 to have my suit cleaned and that hanger cost him a cent and a half more, that's $12.96 and a half. It's not a factor." Magnus's point partly explains why import-competing industries often succeed in their efforts to lobby government for the imposition of trade restrictions: the tariff offers concentrated benefits to a few domestic firms, while the costs of the tariff are spread out among millions of consumers—none of whom see a sharp increase in price. Of course, over millions of hangers, a penny or two per hanger can add up. Advocates of trade restrictions often argue that protection will save jobs. Since we can observe price and cost increases associated with trade restrictions, we can estimate how much it costs to save each job in a protected industry. According to the NPR story, there are roughly 30,000 dry cleaners in the U.S., and on average, each pays an additional $4,000 per year due to the hanger tariff. This indicates an average annual cost of 30,000 firms x $4,000 per firm = $120 million. According to the U.S. International Trade Commission's report, U.S. employment in wire hanger manufacturing was 564 workers in 2004 and fell to 236 workers by 2006. Let's assume that employment in this sector would have fallen to zero in the absence of the tariff, and that with the tariff, employment will recover to 2004 levels. In other words, assume the tariff "saves" 564 jobs. Dividing the cost of the tariff to U.S. dry cleaners ($120 million year) by the number of jobs saved (564 jobs) indicates that each job saved costs about $212,765 per year. Keep in mind that the typical full-time worker in this sector earns about $30,000 per year. Even if we assume that industry employment doubles, the cost of the tariff is still roughly $120,000 per job. 1. Our cost estimates ignore possible job losses in the dry-cleaning industry. How would this impact the overall cost of the trade restrictions? Will dry cleaners organize to oppose the tariff on wire hangers from China? 2. According to the Trade Commission report, China provides tax rebates to firms that export items that use steel (such as wire hangers). As of July 2007, the tax rebate amounted to 5% of the value of exports. How do you think export subsidies or tax rebates should factor into government analysis of trade policies? 3. The story mentions dry cleaners' attempts to reclaim and reuse wire hangers. Are there inadvertent environmental benefits from the tariff? Could the U.S. government encourage dry cleaners and their customers to reuse wire hangers without resorting to tariffs on Chinese manufacturers? Will the FTC Allow Microsoft to Buy Yahoo? What's a Fiscal Authority to Do?